Created for the 70th anniversary of the Allied Landing in Normandy, this new bell symbolizes the friendship between the peoples through the values it expresses: peace, liberty and reconciliation. Yannec Tomada, the artist, wanted the decoration of the bell to address everyone: “Every sight of this bell is a reading in which the symbol spreads a common language”. Thus, the crown of the bell (upper part) decorated with the four elements (water, air, fire, earth) recalls the mutual enrichment of Men thanks to their diversity, beyond their differences. 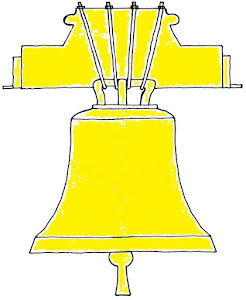 The front of the bell forms the start. Sainte-Thérèse-Bénédicte de la Croix (born Edith Stein, a German philosopher 1891-1942) is represented. Above her, the wind of life frees the pages of an open book spreading benevolence, peace, liberty, love and respect. The left and right sides respectively represent the world at the end of the war as well as today’s world. The back of the bell represents the achievement of 70 years of peace with Europe. Beneath, the people in a crowd hold each other’s shoulders as a symbol of fraternal communion. It weighs 1150 kg, and it is 1.20 m wide and tall. Its note is the E of the 3rd octave. In the future, it will notably be ringing for the national holiday of the godfathers and godmothers’ nine countries of origin. With a lifespan of at least 500 years, it will stand as a perennial witness to the times we are currently living in, through its memory, its decoration, its voice and its message of peace.